YIOTIS S.A. supports the hope of new life in Greece! A new Corporate Social Responsibility initiative was announced by YIOTIS SA. The CSR Program is called "A Hope Is Born!" and aims to help reduce the alarming negative birth rate, which is now an acute demographic stalemate for our country. This very important initiative, which is being implemented by YIOTIS S.A. in collaboration with the non-profit organization HOPEgenesis, which intensively deals with the issue of low birth rates in Greece, was announced on November 15th, 2018, at a press conference at the Stavros Niarchos Foundation Cultural Center. In the context of this partnership, YIOTIS S.A. "adopts", for 4 years, 86 remote villages of Greece, which belong to the regions of Central Greece and Epirus. In particular, the villages are in the regional units of Evritania, Fokida, Fthiotida, Evia and Arta and more specifically in the 14 municipal units of the Karpenisi, Doris, Lamia, Makrakomi, Karystos and Central Tzoumerka Municipalities. YIOTIS Company supports the women of the 86 villages who want to become mothers but hesitate because of the difficult conditions, such as limited access to medical-obstetric infrastructure. YIOTIS Company undertakes to cover all costs of attending pregnancy, prenatal tests and birth, as well as all transportation and hospitality expenses. In addition, the company covers the baby food of the babies that will be born in the 86 villages it has "adopted", for the first two years of their lives. At the same time, it provides informational talks and local meetings to the Municipalities included in the Program to disseminate the message of encouragement for the acquisition of a child to all the future mothers of these less privileged areas. On November 27th and 28th, 2018, the 1st tour to the Municipality of Karpenisi was held with great success, during which an informative event took place at the Municipality's Conference Center. The initiative "A hope is born!" by YIOTIS S.A. comes as a natural sequence of its long-lasting connection with the coverage of great social needs, from its foundation until today. 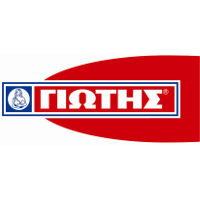 For YIOTIS Company, motherhood and family support are in its DNA and are always a top priority and a central focus of its activities. More information about the program is available at: www.jotis-miaelpidagennietai.gr.